With all the talk about global warming, jetsetters with a sense of adventure (or should we say conscience) more and more are telling us that they are recalibrating their short term luxury travel plans. If world class snorkeling and SCUBA are your bag, you’re well aware that the world’s most treasured reefs are becoming extinct. The clock is whiring away for many of that natural treasures that enthusiasts rightly regard as some of the most important on the globe. Case in point: the Great Blue Hole. You’ve likely seen the photos. 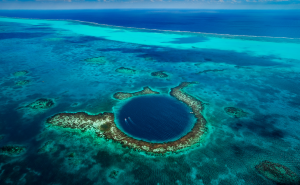 A diver’s paradise, this wonder is located next to Lighthouse Reef, about 50 miles off the coast of Belize. A little closer to shore is one of the most important, and last thriving (yet endangered) barrier reefs in the world. Belize, the jumping point for these amazing natural wonders as well as countless picturesque cays, is only a few hours from New York City, and an even shorter trip if you’re travelling from a more southern region. And, yes, it’s possible to find luxury in the area. Case in point, Matachica Resort & Spa. Set on a secluded stretch of natural white-sand beach facing the world’s second-largest barrier reef, Matachica offers a choice of 31 intimate villas, including 30 single casitas and 1 two-bedroom villa. 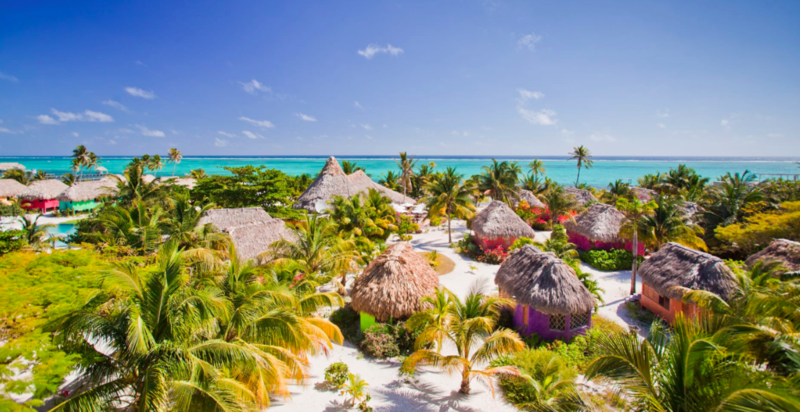 Vibrantly colored and exotic with thatched roofs, the villas are uniquely decorated with hints of Central American motifs and original art collected from around the world. The villas are spacious, privately located from each other and include distinctive features. A stand out for us was the service. From the moment our plan landed at the airport in Belize, no need went unmatched. From very personal transfers, to the welcome cocktail, the Matachia staff ensure that you’re experience is unlike any other. 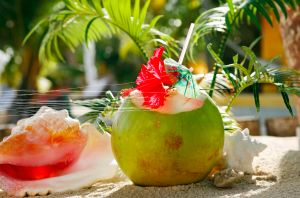 Arriving at Matachia, you’d swear that you had landed at Bora Bora: turquoise water and a long stretch of hovering banquets and umbrellas make you feel like you’re in the South Pacific rather than near on the Caribbean coast. One drink lad to another, and made us year for a meal. Award-winning Mambo Restaurant is perfect for sitting back and enjoying a romantic atmosphere punctuated by contemporary paintings, candelabras, local ceramic treasures, exotic handcrafted Belizean art and beautiful Central American mahogany furniture. Meanwhile, music softly plays in the background. All hyperbole aside, Mambo is considered one of the best restaurants in the country and offers locally inspired flavors and surprising combinations that will excite even the most seasoned palate. 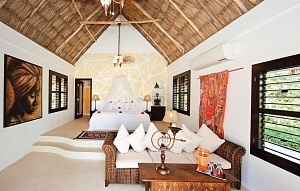 When booking, be sure to request a beachfront villa. These luxurious 750-square-foot villas are the most exquisite accommodations at the resort. Located 50 feet away from the Caribbean with two private terraces, each one of them has unobstructed views of the barrier reef, a private outdoor hot tub , a king-size bed, separate spacious living room, full bathroom with soaking tub, walk-in shower and double sink, air-conditioning, ceiling fans, large dressing area, feather duvet, Matouk and Frette linens & bathrobes, L’Occitane amenities and Central American interior furnishings.